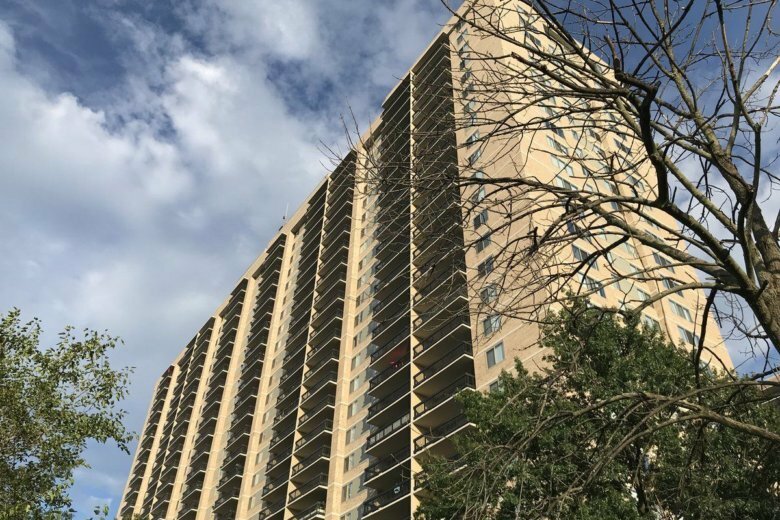 WASHINGTON — The police have released a few more details about the child who died in a fall from the 24th-floor balcony of a Fairfax County, Virginia, apartment building Monday afternoon. The Fairfax County police said in a statement Tuesday that the child was a 2-year-old boy. They added that an adult caregiver was in the apartment tending to another child at the time of the fall. It was the second such fall at the Skyline Towers Apartments, in the 5600 block of Seminary Road, in recent months. In May, a 3-year-old boy fell out of a window that was open and screened. The family of the child is now suing the building for $100 million, NBC Washington reports. When Skyline Towers was built, in the 1970s, the county building code required that spaces in between the bars of a balcony be no wider than 6 inches. Code requirements passed in the 1990s reduced that allowable space to 4 inches. County Building Official Brian Foley told WTOP his records indicated that the balcony guards had not been replaced since the original construction. “This is a horrible tragedy, and my heart goes out to the families who have lost their children,” Foley said. The police are still investigating Monday’s fall.